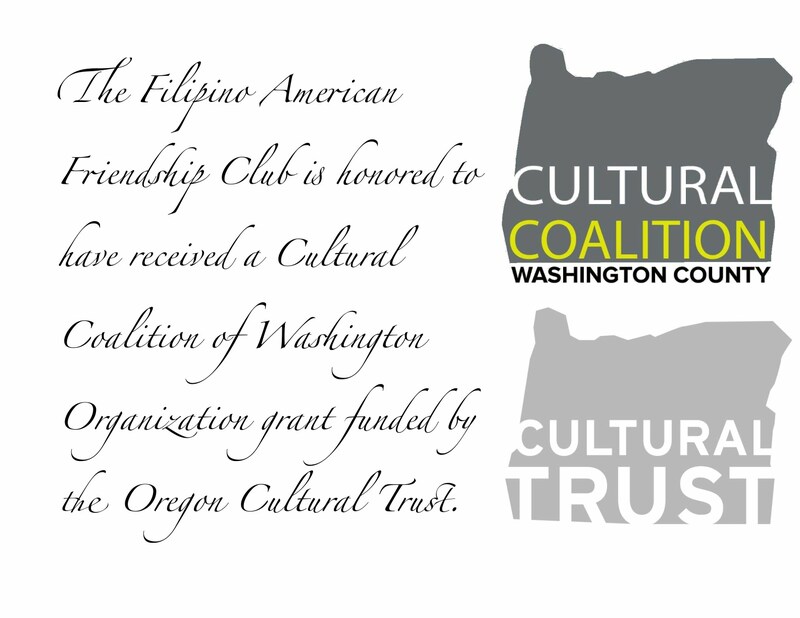 Welcome to the official web site of the Filipino American Friendship Club of Oregon! 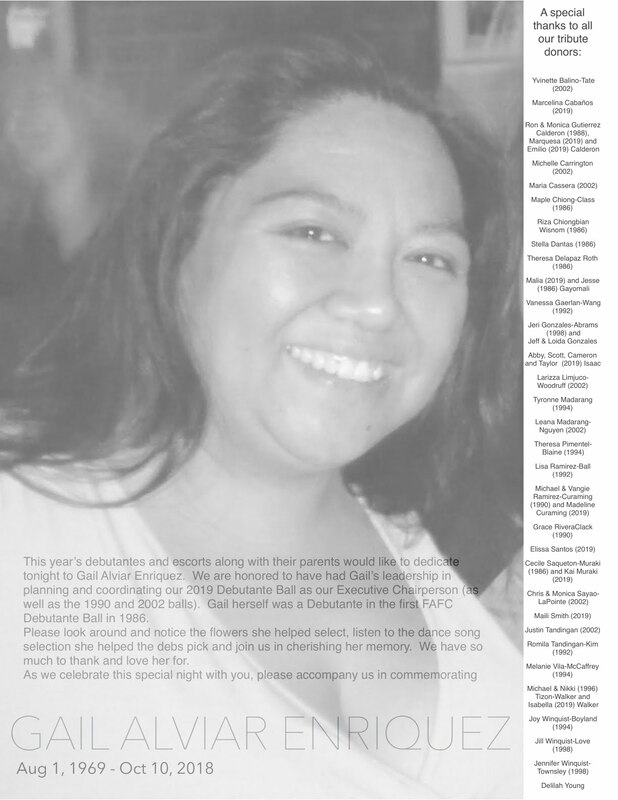 We invite you to bookmark this page and check back often to learn about upcoming events sponsored by the FAFC and our fellow Filipino organizations here in Oregon and neighboring southwest Washington. The purpose of this club is to render civic services for the promotion of the welfare of the community and its citizens by means of active participation in projects to improve the community, state and nation, and further to provide opportunities for the young persons in this community. Furthermore, to preserve Philippine tradition, customs and heritage. 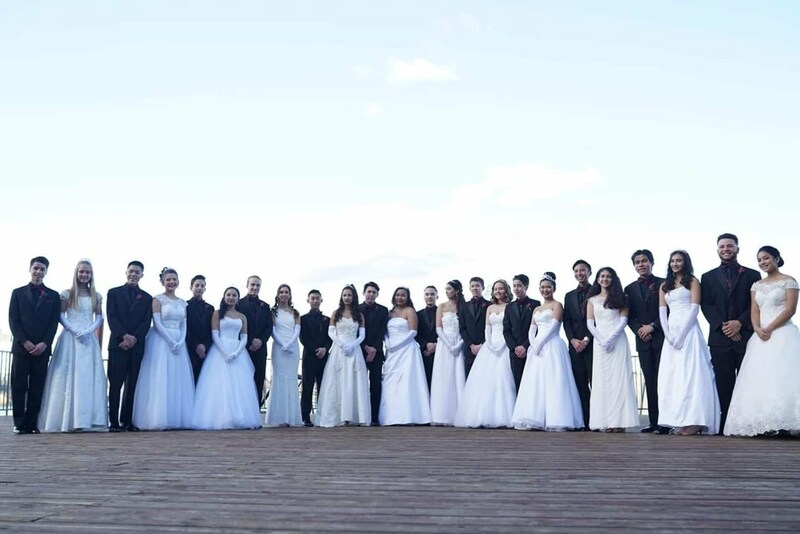 Congratulations to FAFC's 9th Debutantes!! Thankful for the Cultural Coilition of Washington County Grant!